← How to add barcode to PDF file in C#, VB.NET and VBScript with PDF Form Filler SDK and PDF Stamp SDK? Our license key is 20 bytes and the manual says 16 bytes, Is there a problem? 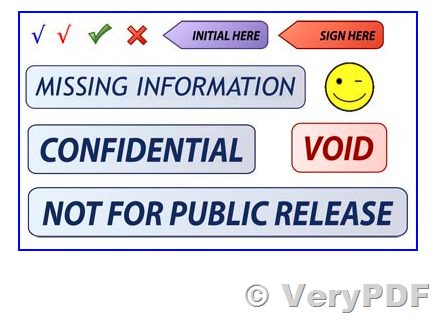 pdfstamp.exe -silent -reg "XXXXXXXXXXXXXXX" -PDF pdftest.pdf -o out.pdf -at "Demo Watermark"
After you register it, the watermark will be removed from stamped PDF files. 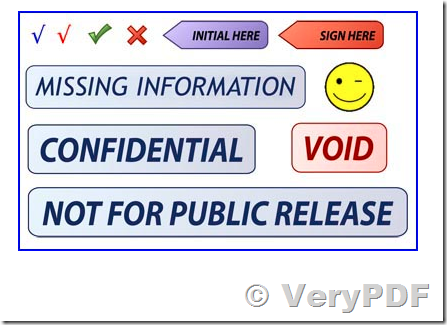 This entry was posted in PDF Stamp and tagged pdf stamp, pdf watermark, stamp PDF. Bookmark the permalink.